The Union 9 LED torch is a lightweight torch ideal for small tasks around the home. 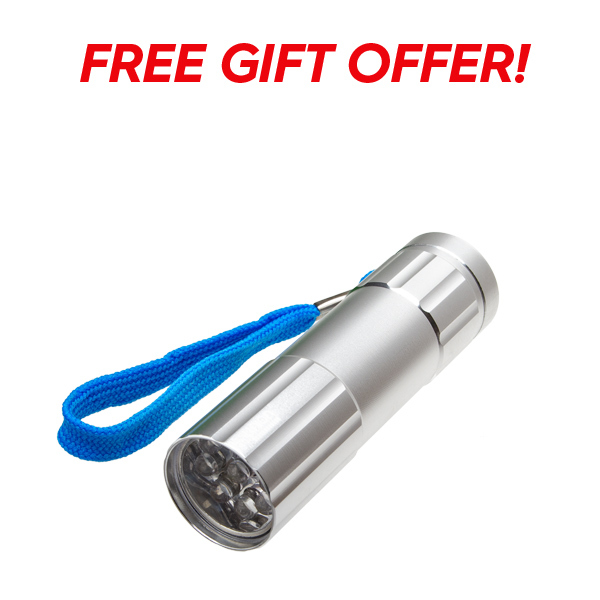 It is powered by three AAA alkaline batteries and has a hard durable aluminium case which has an indented pattern on the head and tail that acts as an anti-roll function on flat surfaces. The light is operated with the clicky button on the tail of the torch and turns the torch on/off with a full press. A lanyard is included for secure carrying and easy hanging.